Iron Maiden, AC/DC, Metallica, Deftones, Every Time I Die and now Atreyu, the latest to join a lengthy, rapidly growing list of bands who have partnered with craft breweries around the globe to create their own boozy concoctions. The Orange County metallers didn’t go too far to find their brewing partner, teaming up with neighboring Anaheim brewery Noble Ale Works on Superhero, a Double Dry-Hopped Double IPA with orange zest. The hazy 8.7% brew features Citra and El Dorado hops for notes of lychee, tropical fruit and California navel oranges. Superhero caters to even the most ardent of hazy worshippers – it’s soft with just a touch of prototypical West Coast resin and blossoms with notes of floral orange, stone fruit, pineapple, apricot, mango, starfruit and orange peel. It features a creamy mouthfeel and incredibly smooth finish. It’s a dangerous beer that doesn’t drink up to lofty ABV. 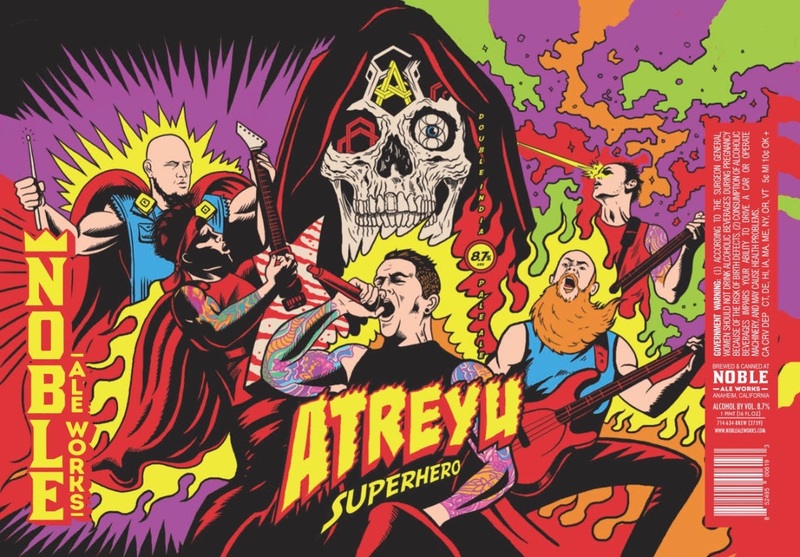 Atreyu recently released their seventh studio album In Our Wake on Spinefarm Records. The album hit number two and number nine on Billboard’s Top Hard Rock Albums and Top Rock Albums charts, respectively. They are set to perform at a number of festivals worldwide later this year, including Germany’s Rock Am Ring, Belgium’s Graspop Metal Meeting and the Rock USA Festival in Wisconsin. 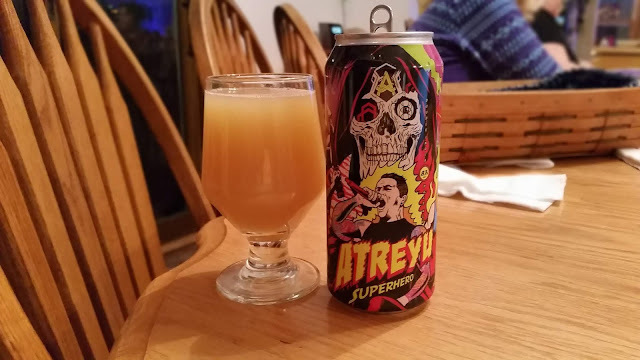 For more information on Atreyu, please visit http://www.atreyuofficial.com/ and for more information on Noble Ale Works, check out https://www.noblealeworks.com/.